Returning to the UK to play Download Festival 2018 this weekend after some happy times here in recent years are none other than The Von Hertzen Brothers. Their frontman and guitarist, Mikko Von Hertzen, was kind enough to spare some of his time for a chat with us about Download, the bands brief hiatus a couple of years ago and many other things too. You are returning to the UK after a very successful headline run in 2017. Are you excited to be coming back? Yeah totally! UK has treated us really well the last few years and it’s always exciting to come back and play to our fans there. Out of all the countries we’ve toured in, we feel there is something special with the relationship between us and the UK. It might be that our musical heroes are pretty much from over there and even though we are Finns, we feel we are a part “of the lineage” of UK based Rock music. How do festivals shows compare to your own headline shows for you? We tend to lean more towards the newer material on our headline shows. Depending on the festival and the slot we have on the bill, we tailor the set to suit the time of the day and the festival in question. For those people at Download who may not be familiar with you, what is one reason why people should check you guys out? Why do people go and see new bands? To get new experiences, to get revelations, to get that little light bulb to come to life above their heads. You have had a lineup change and are now back to the lineup you had in 2006. How does the dynamic change every time you bring people in and out of the band? A lot of course. We try to merge the musicality and talent of each individual to benefit the whole. Thus the sound and the finesse of dynamics is always a little different depending on who plays it. In 2016 you announced a hiatus before returning in 2017. What caused the hiatus and then the decision to return? We were tired and needed space to think whether we still have it in us to continue. We’ve been doing this full on for many years and every now and then, you need to breathe a little. Your latest album War is Over is the 7th of your career. Being this far in does that make songwriting process easier or harder for you? Yes and no. The bigger back catalogue you have, the more you feel that there is a chance for repetition and that’s not an easy thing to avoid. Then again, when writing for this group, we pretty much know what works and what doesn’t. Have you started thinking about where you will go on the next album or are you allowing this one to sink in with the audience first? Not thinking about the next one at all. Trying to live in the present and give our all to the gigs ahead. War Is Over has to be heard live and understood, since we feel it’s a great album and has not yet reached it’s climax. Over the course of your 17 year career, what would you say is the most valuable lesson you have learned as a band? That our artistic vision, voice and music is unique and original and by imitating others we will never reach the outcome that we can be truly proud of. The key is to follow our heart and stay true to our vision. No matter if by doing so, we might not get the success we would maybe achieve otherwise. And of course, we always try to keep raising the bar as songwriters. 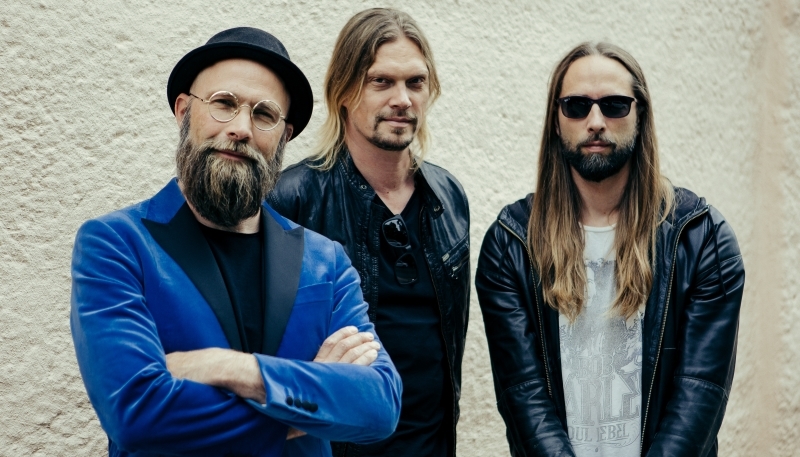 what 3 songs would you put on a mixtape to sum up the von hertzen brothers? After releasing approx 70 VHB songs, this is a tough task. I would be able to make a list of twenty for you easily but three… Okay, I’ll make it easier to myself by picking a song per brother. My favourite song by Kie is at the moment Jerusalem. From Jonne I would choose The Destitute and from my own songs maybe The Willing Victim. Lastly, do you have any closing comments for the fans out there? We hope to see your smiling faces on Saturday. We are on quite early so make sure to set your alarm clocks on Friday night. We are flying all the way from Helsinki to play for you so rest assured, we’ll do our best to entertain and make it all worthwhile. Love y’all! The Von Hertzen Brothers’ play Download Festival 2018, performing at 11:45 on the Zippo Encore Stage on the Saturday of the festival. Tickets for Download 2018 are still available, both for the whole weekend and individual days, and can be acquired right here.